Buy online through his watch, it would soon be possible through the watch called "intelligent" on which teams are working Apple. 2013 will be the year of high-tech gadget. After Google Goggles, here iWatch, watch "intelligent" Apple. The rumor says through the testimony of two anonymous sources close to the project. 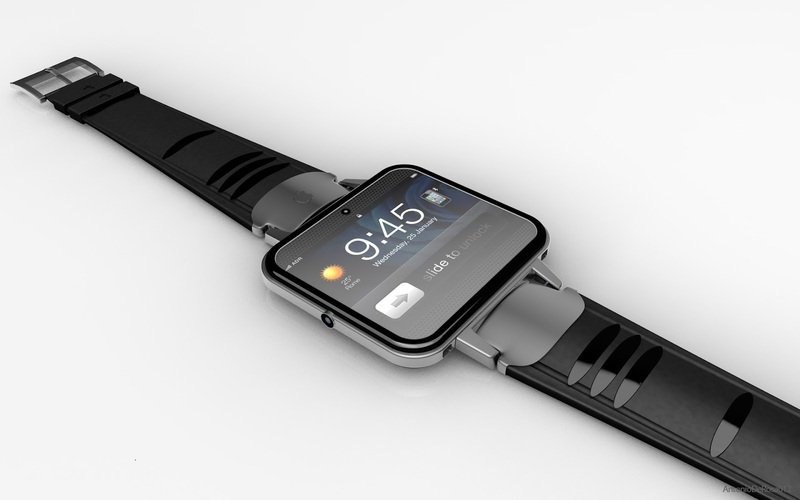 According to the New York Times, this wristwatch could run on iOS and propose some features as a smartphone. So for example we could buy online, through his watch. It may also interact with the iPhone via a Bluetooth wireless link. Bruze Tognazzini, a former engineer of the firm at the apple, explained on his blog that Apple holds all the cards in hand to win the watch market 2.0. Information based on its knowledge of the potential of the company, and not on information from the company itself. He thinks, for example, Apple watch could offer a wireless charging, the company is in possession of several patents in the field. The aesthetic point of view, the iWatch use the technology of curved glass, the better to fit the curves of the human body. According Bruze Tognazzini is a key element in the design of the device. Again, Apple has filed a patent that describes a method for producing curved glass at low cost. This watch features combine GPS, TV, radio, according to information from the New York daily. Manufacturing would be provided in partnership with Foxconn, the subcontractor Apple in China, according to the Wall Street Journal.